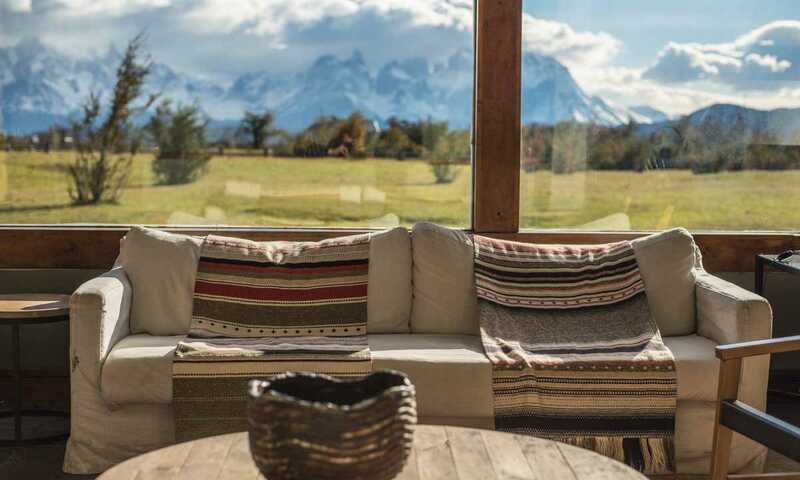 A little bit of affordable comfort at the foot of the Paine massif. Hidden away next to the Serrano river, there's excellent access to fishing, kayaking and off-the-beaten-track hiking, and the views are something to behold. There's a good mix of classic treks and off-the-beaten-track adventures to be had from Hotel Rio Serrano. Venture out for a full day to see some of the park's most famous highlights, such as the Base of the Towers, or escape the crowds to explore the hidden valleys. Horse riding and fishing are also available, and for those who want to rest their legs, tours of the park by jeep are offered with passionate, expert guides. Staying on their all-inclusive programme means you have a choice of excursions each day, and can decide the night before based on the weather, or advice from the guides. This hotel is popular with groups so has a busy, bustling feel, but is also a step up in luxury from some of the accommodation options around, and the views of the mountains really can't be beaten. The hotel is located on a bend in the river, and faces up towards the mountain range. The views are quite spectacular; expect intense pinks, oranges and golds on the rocky peaks of the massif during sunrise and sunset, visible from huge windows in your room. Although it will take a little longer to get into the park, its location means it's well placed for fishing and some of the more off-the-beaten-track excursions around the national park. Swim with panoramic views of the mountains through floor to ceiling windows. Also available is a massage room with a 35% discount for those on the all-inclusive programme, and saunas available for guests. There are 95 rooms available in 7 different categories. 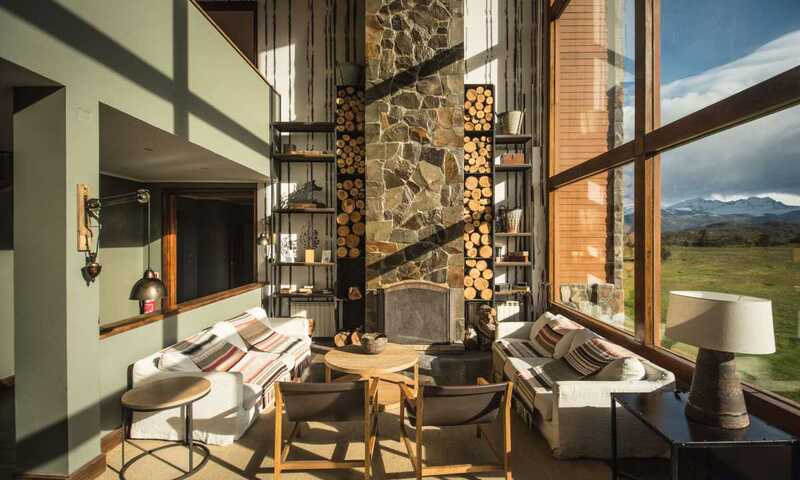 Rooms range from 36m² to 24m² and feel clean and new, with decorations that nod to Patagonian culture and history. Most have the trademark views of the Paine massif but some do not, so choose carefully to ensure you make the most of the surroundings.